How do I begin to describe this...? 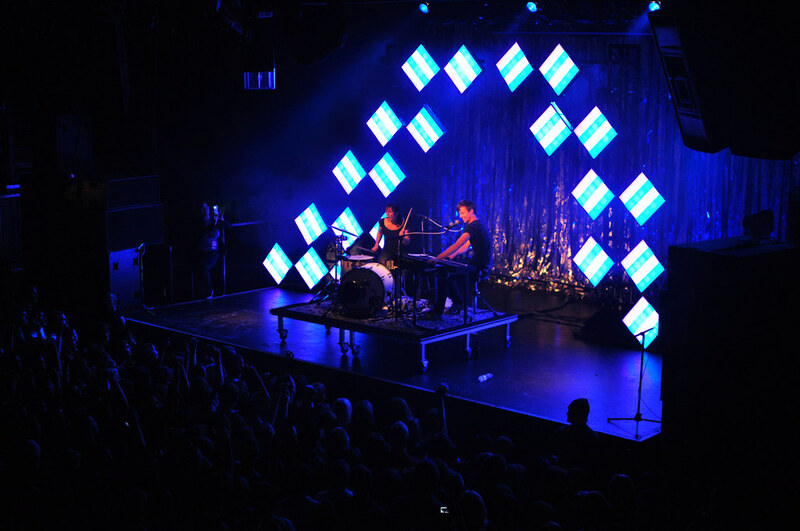 Remember my post way back about Matt and Kim, where I wrote that I thought they were the most fun sounding pop-punk band around? And how they make me want to dance and smile at the same time? Well all of those things are true and I was fortunate enough to attend their show here in Vancouver at the Rickshaw Theatre. It was Amazing. I can't describe it as anything else. It is by far the most fun, energetic, HOT, musically on point show I have ever been to. Matt and Kim came on after 10:00pm(?) and began their set. Their stage design consisted of some sort of multiple square electronic screens arranged in a triangle... The lights and colours set a fun and energetic mood for show. I am horrible at remembering setlists, but lets just say they began and didn't stop until just before midnight. They played fan favourites, and then some. Their equipment was set up so close together, so snug. They really work off of each others energy, they were giving it all they have and we were soaking it up and giving back just as much energy. Our sweat, shout and cheers. One moment I'll remember is when they began playing "Better Off Alone" by Alice Deejay... it's a Classic 90's dance song, we all danced, screamed, cheered. We all reacted as one collected unit, we all felt something. In that moment in time we all were present. Kim jumped onto her bass kit and sang, egging us on. I screamed the lyrics along with her. She has so much energy and looks like she has so much fun on stage. I couldn't stop grinning, it's contagious. The crowd was so enthusiastic, there were several crowd surfers.. one audience member decided it would be a brilliant idea to stage dive into the audience. He did it twice, from the stage. Entertaining as ever. At one point in the show, Kim threw balloons out into the audience, we blew them up and tossed them about. It's a party after all, balloons are a necessity, essential in making a good show. We tossed them about. Kim came out to the audience between one of their songs, the audience grabbed her feet and she proceeded to do a booty dance. This is why I love her. 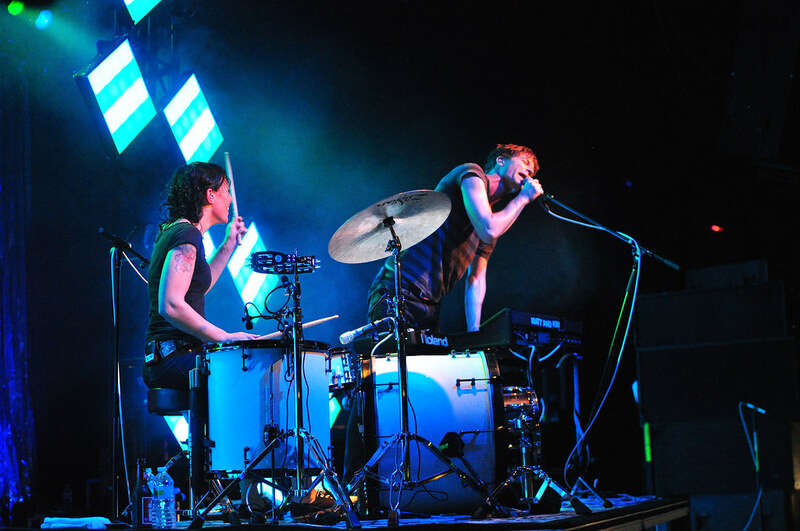 I had no idea it was Matt and Kim's second time in Vancouver. I am so glad I was there today. My ears are still ringing, my body must have lost a good chunk of water weight. I haven't been in an environment that humid, that lacking of air for a while. I think this show trumps CocoRosie's show at the Vogue Theatre in June. There was much more body movement, feet shuffling, leg jumping, arm pumping, head rocking at the Matt and Kim show. Brilliant. They played Daylight as the encore and last song. Epic. After this they, Matt and Kim, jumped into the audience hugging anyone with open arms, while hip hop songs played over the speakers (Empire State of Mind - Jay Z, Forever Young.... and so on). They are amazing musicians, amazing people with amazing hearts. They appreciate their fans and it means the world to me, as a fan to see that. You attend so many shows where the musicians escape into a back room after the show. They slip through a side door and would Never reach out to a fan this way. 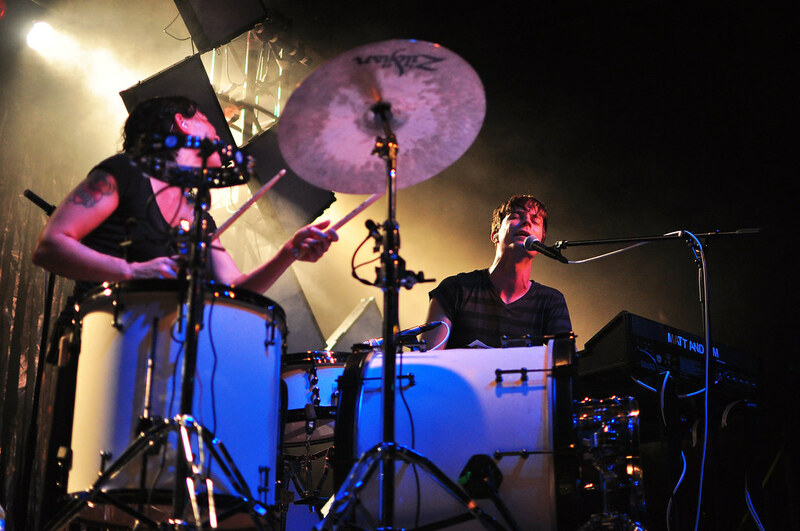 But Matt and Kim do. Come on now... what is there not to love about Matt and Kim. There are SO many reasons to attend their show. One, because you had to be there to know just how good the show really was. I was smiling from ear to ear and still am. I'll be thinking of my favourite moments in this show for a long time to come. And of course wearing their t-shirt until they come around again.